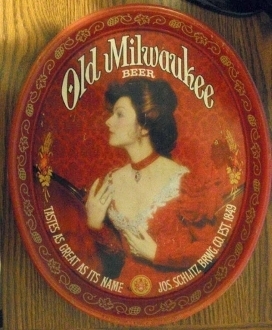 Old Milwaukee Beer Serving Tray. Vintage Old Milwaukee beer swerving tray. The tray measures 12" by 14", and is 1 1/4" deep. It depicts a beautiful victorian lady on a red background.